There are currently 0 condos listed for sale at Earhart Village. So far this year, 1 has sold and in 2016, 11 sold. $269,900. 812 Earhart, Ann Arbor. 1736 sq. 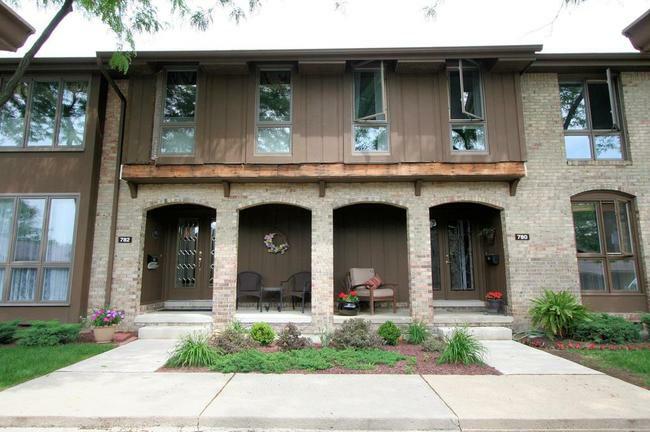 ft., +750 in finished lower level, 3 bedrooms and 2.1 baths. $265,000. 931 Greenhills, Ann Arbor. 1893 sq. ft., +950 in finished lower level, 5 bedrooms and 3.1 baths. $261,000. 1010 Greenhills, Ann Arbor. 1736 sq. ft., +308 in finished lower level, 3 bedrooms and 2.1 baths. $246,000. 788 Greenhills, Ann Arbor. 1468 square feet with 3 bedrooms and 2.1 baths. $245,000. 1050 Greenhills, Ann Arbor. 1537 square feet with 2 bedrooms and 2 baths. $242,500. 746 Greenhills, Ann Arbor. 1975 square feet with 4 bedrooms and 2.1 baths. $240,750. 744 Greenhills, Ann Arbor. 1334 square feet with 2 bedrooms and 1.1 baths. $237,000. 843 Greenhills, Ann Arbor. 1736 sq. ft., +825 in finished lower level, 3 bedrooms and 2.1 baths. $229,000. 927 Greenhills, Ann Arbor. 1736 sq. ft., +500 in finished lower level, 3 bedrooms and 2.1 baths. $208,200. 656 Greenhills, Ann Arbor. 1396 sq. ft., +200 in finished lower level, 2 bedrooms and 2.1 baths. The 11 condos sold last year have an average sale price of $241,950 and an average price per square foot of $150.00. The unit sold this year had a higher sale price than any last year and an A$SF of $155.00, up 3%. The A$SF has risen 67% since the low of $90/SF in 2010, which is great news for condo owners. For more information on values at Earhart Village, or would like to know what your condo is worth in today’s market, give us a call at The Bouma Group, Realtors at 734-761-3060 or email info@bouma.com. View more Ann Arbor Condo complexes here!